If you are looking for a unique twist on a snacking idea look no further. 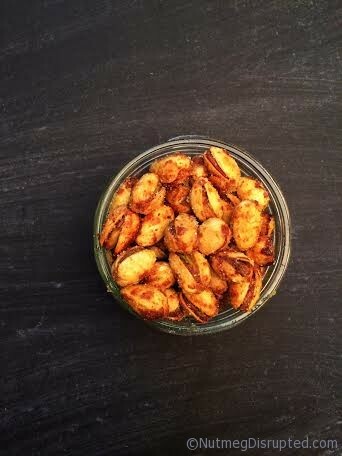 The sweet and savory touches of these pistachios are outstanding! Really they are like nothing I have tired before. I have always been a huge pistachio fan and have an intense love of curry so it seemed like a great fit. 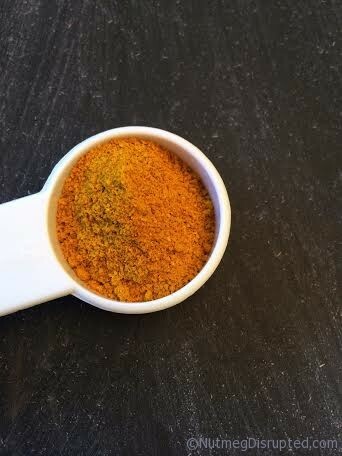 The addition of brown sugar adds just the right amount of sweet and balances out the heat from the cayenne. Truly quite spectacular. You will notice when they are baking the aroma of the coconut oil is quite prominent and fills the kitchen with the most wonderful smell. In a medium saucepan heat the curry powder, coconut oil, maple syrup, salt and cayenne over low heat. Prep a cookie sheet with parchment paper. Once the oil syrup liquid is warm add the pistachios and stir to coat well. Pour the nuts into the cookie sheet and pop into the over to roast. Stir a few times to assure the entire the coating on the nuts dries. When they look dry remove them from the over and sprinkle liberally with the brown sugar. Give the cookie sheet a shake to coat all sides of the nuts. Hey Jared! These definitely satisfy any sort of pistachio craving! These wouldn’t last long around me. Seriously, it’s a good thing they have shells, because that’d be the only thing slowing me down. Thanks for sharing! They look great! I’m on a pistachio craze right now, so I’m totally down to try these! Yum! These look great! I love roasted nuts (I always giggle when I say that). I need to try this! They are a favourite in my house too. Never enough pistachios! These are sweet & savoury, and a little bit addicting, definitely worth making a batch! Hi Emily, they are seriously amazing! 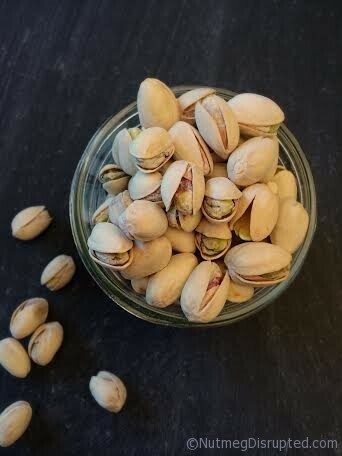 We go through so many pistachios in our house – a definite family favorite. We haven’t tried flavouring them ourselves – but I bet we will now. Thanks! These look RIGHT up my alley, and I am so glad to see this recipe right before the weekend, when I can make these and gobble them all up, uniterrupted. Pinning! I left the shells on to save time and I am so glad I did. The seasoning has more surface to stick to therefore they are the much more delicious! They are seriously good! These nuts look delicious! I’m a fan of spiced nuts, but haven’t used pistachios for this purpose before. I was surprised to see you left the shells on the pistachios, but I think that makes this recipe even more brilliant! Looking forward to trying this one before long.